It won Giacchino a well-deserved Oscar for Best Original Score, after being passed over for his amazing score on The Incredibles. It’s a waltz-influenced work with a main theme that works as a piano solo, triumphant brass, or jazz-flavored lilt. Easily one of the best scores from one of the best films of the last several years. Giacchino is at home with nearly every genre, having started in video games (the Medal of Honor series) and scored for television (Lost) as well. His scores for Pixar’s Up, The Incredibles, and Ratatouille, are all standouts. Here is his suite “Married Life,” which captures the first 10 minutes of the film and deservedly won him the Oscar and Grammy Award. 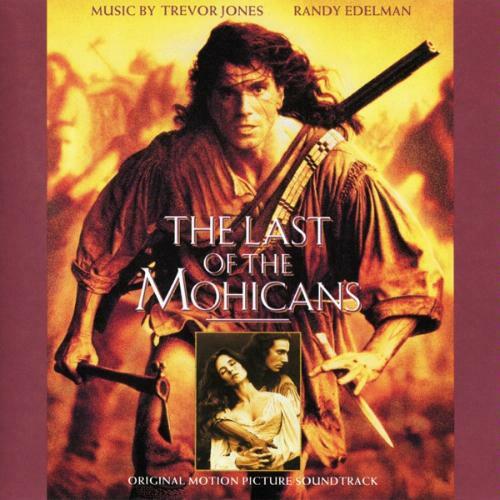 The rare score composed by two separate composers, Mohicans is a powerful collection of themes that have been widely copied since its first release. Shamefully ignored by the Academy at awards time, it was easily the best score of its year of release (1992–the nominees that year were Aladdin, Chaplin, Basic Instinct, A River Runs Through It, and Howards End–only Alan Menken’s score for Aladdin is even remotely close in quality). Combining slow moving chords with jig-like violins, the music is both haunting and strangely moving. Here is the piece (called “Promentory”) which accompanies the final confrontation between the heroes and villains of the story and brings all the main themes together beautifully. One of the greatest film composers of all time, Morricone ranks with John Williams, John Barry, Jerry Goldsmith, and a few others as true masters of the art form. 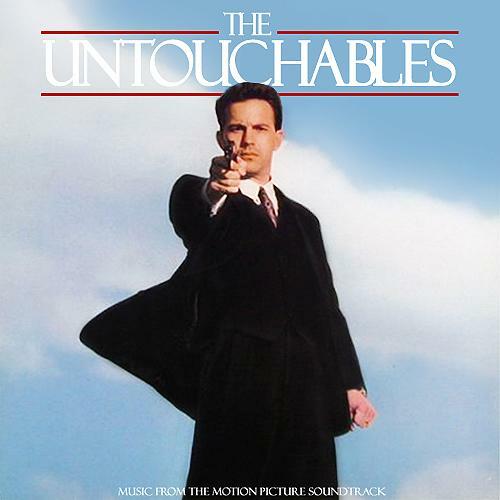 He has composed scores for many well-known films, but one of his scores I like best is the one he composed for Brian DePalma’s 1987 gangster film, The Untouchables, which also helped earn Sean Connery an Oscar for Best Supporting Actor. It’s full of memorable themes (the triumphant brass of “Victorious” to the bass-driven tense strings of “Waiting at the Border” to the wah-wah brass of “Al Capone”), but my favorite is the theme called “Four Friends,” which also serves as the main “death” theme. It should have won the Oscar in 1987, but at least it was nominated. Here’s the string and flute-based theme, “Four Friends.” Try not to picture Charles Martin Smith or Sean Connery shot up and dying. Like Morricone, Goldsmith is one of the true masters of the film score. Sadly, when many scores have become cut and paste affairs (the entire Hans Zimmer score factory, and I like most of Zimmer’s work), composers like Jerry Goldsmith are becoming few and far between. His gift with theme and melody served him in practically every genre, even scoring for theme parks (his score for Disney’s Soaring Over California attraction is one of his greatest works). He won the Oscar for his music for The Omen, but I think his finest works are the animated Mulan (for which he was also Oscar-nominated) and Rudy, the story of an unlikely football hero. Here is the nearly instantly-recognizable theme from Rudy, although most people can’t exactly place it. It’s one of those “I know it but I’m not sure why” themes, used in many film trailers. It’s simply perfect. 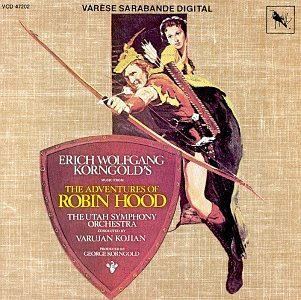 A classical composer who moved from his native Austria-Hungary, he was more active in the classical world than in the world of film when he was brought to America to compose the score for the 1938 Errol Flynn classic. His influence on film scores is still evident today in that he brought the operatic styling of the letmotif, where each character has their own theme–a practice John Williams brought back to film scoring with his iconic 1977 score for Star Wars. He was the first composer to win the Best Original Score Oscar, and his music was listed at number 11 in the American Film Institute’s ranking of the best film scores of all time. Here is “Robin and Marian” from The Adventures of Robin Hood. Its influence on Williams’ themes in the Star Wars trilogy is obvious. Kane is the most highly regarded film of all time for many reasons, mostly because of its advanced in the areas of cinematography, storytelling, art direction, and pretty much every other area of film. But its score, by the great Bernard Hermann, is equally impressive. 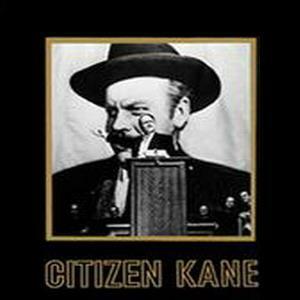 It’s full of great themes, from its opening slow-moving bass string theme (as the camera gets ever closer to Kane’s lit bedroom window in Xanadu) to its gaudy showbiz number lauding “Charlie Kane.” It’s a classic piece of 1940’s film that deserves to be heard even more often. It’s that good–and was nominated for Best Dramatic Score in 1941. The perfect marriage of filmmaker and composer, the Steven Spielberg/John Williams collaboration is the longest in the history of film and has brought about some of the most memorable combination of music and imagery in history. Since 1975’s Jaws, his music has rightfully earned a place in the hearts and imaginations of filmgoers. His accomplishments are many, but it is his 1993 score for Spielberg’s black and white masterpiece about the Holocaust, Schindler’s List, that stands out as one of his greatest. Haunting, sad, melancholy, and fitting to its subject matter, it is beautifully composed (by Williams) and beautifully played by violin master Itzhak Perlman. Nearly every piece is a mini masterpiece, and it deservedly won the Oscar for Best Original Score that year. Here is the main theme. It is perfect. Randy Newman is an Oscar winner most readily identified with the Toy Story films, but when he composed the music for the Robert Redford baseball myth The Natural, he was better known as a writer of highly ironic and sarcastic pop songs. The score for The Natural is a practically perfect work, full of big dramatic moments (copied like crazy in sports films ever since), wonderful period-inspired jazz, and quiet lyric pieces. It’s easily one of Newman’s greatest scores and was nominated for Best Original Score in 1984. 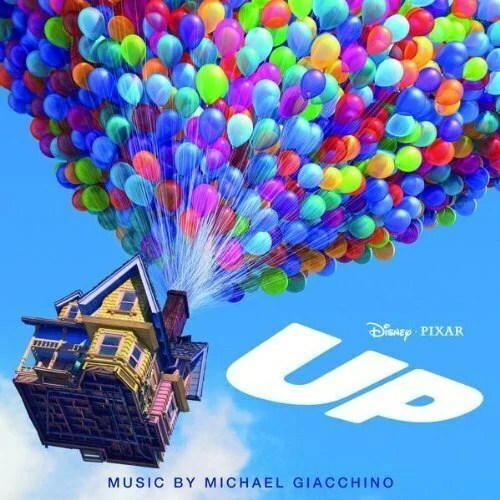 Here is the opening piece, which introduces the characters, settings, and themes of the film, including the oft-copied six note “triumph” brass theme. It’s one of the greatest film scoring achievements of all time. Howard Shore’s monumental scoring of Peter Jackson’s epic Lord of the Rings trilogy combines epic themes, letmotif, Elvish choirs, unique instrumentation, and more, to add a musical score to J.R.R. Tolkien’s world of Middle Earth. While I love all three scores, my favorite is his work on the first film in the trilogy, The Fellowship of the Ring. Giving musical life to Bilbo, Gandalf, Frodo, and places like Rivendell, Mordor, and Moira, Shore develops a rich tapestry of music that rightfully earned him an Oscar in 2001. There are so many wonderful themes in this score it’s hard to choose one, but here is my favorite. Called “The Breaking of the Fellowship,” it plays as the film comes to an end, as friendship is strengthened, and companions are parted. This alone could have won him an Oscar. After introducing the world to synchronized sound cartoons in 1928, just 12 years later Walt Disney released his greatest achievement to that date–Pinocchio. The tale of a wooden puppet who longs to be a real boy, it’s a classic full of classic moments, incredible animation, and songs that caused no less an artist than Maurice Sendak to declare it Walt’s masterpiece. The song “When You Wish Upon a Star” won the Oscar for Best Song in 1940, and the score, a beautiful, sometimes melancholy, often frightening, and quite lovely work by two studio composers, is one of the greatest of all time. The themes, ranging from the extremely sad “Desolation Theme” to the happy sounds of music boxes in “Little Woodenhead” and “Turn on the Old Music Box” are all memorable. It deservedly won the Disney studios its first of many music Oscars. It is a timeless, still beautiful piece of work. Here’s “Off to School,” which combines the theme for Pinocchio, Jiminy Cricket, the Fox and Cat. It’s a wonderful piece of music. What about you? What are yours? Haha I have been looking at film score lists and I actually think yours is the best. I fell like Last of the Mohicans is definitely overlooked by other lists out there, while I definitely think it is top 10 material (I would probably put it at no.1). Nice list of both film scores and the films they represent.